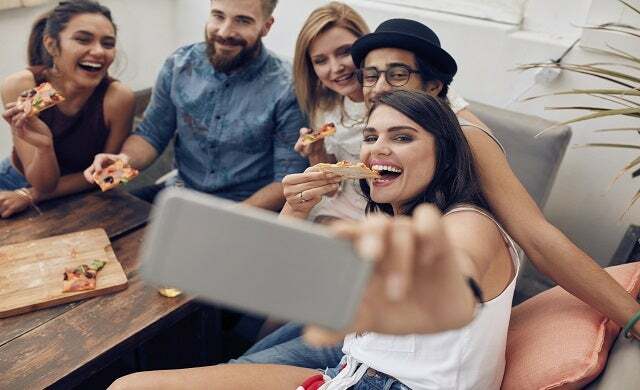 The term ‘millennials’ is often thrown around in the media but this highly influential group – typically referenced as individuals aged 18-35 – could just hold the key to the future growth of your business. With this in mind, Startups attended this week’s inaugural Millennial 20/20 Summit to hear from big brands, fast-growth start-ups, and key influencers, on how, and why, entrepreneurs should seek to target the millennial audience and “change the way they do business”. From talks on the ‘hipster dollar’ to ‘next-generation’ marketing, we’ve summarised key things we learnt from the conference and outlined five ways in which you can implement these insights in your business strategy. There’s a rise in ‘pre-drinking’ among millennials where young people are drinking at home before they go out; so it’s more about “location than occasion”. Millennials don’t eat meals and are more likely to snack throughout the day. Burgess said the “key thing isn’t about food, it’s about everything else”. She indicated that at the weekend, food is more of a “social occasion” for millennials and highlighted demand for pop-up supper clubs and immersive experiences. Millennial parents are finding refuge online for advice and re-assurance and are looking for smaller digital communities; which Burgess refers to as ‘digital villages’. Marketing to millennials and creating a brand that resonates with the millennial audience was a key theme at the Summit. Discussing brand strategy, FoodTube director Richard Herd said that for any business to win over millennials “transparency and authenticity is key” – “[You need] to get through to your audience as millennials are so savvy”. In a session on giving your email the ‘millennial makeover’, ShopDirect email marketing lead Melissa Woodall and Movable Ink’s Clayton highlighted that for every $1 spent on email marketing, the average return is $40 so it’s key that your email strategy caters to millennials if you want to get a good return. Woodall explained that millennials increasingly expect contextualisation in emails, for instance using geo-targeted content such as weather and location. or relating an email newsletter to a certain event or celebration. Woodall said that contextual emails can increase email open rates by “almost double”. She also highlighted the impact of personalisation in emails. For example, ShopDirect have started rolling-out personalised early birthday videos in emails with a 10% discount for the receiver to spend on clothes on the site. Another strategy she advised businesses to consider was ‘trigger emails’, so using countdown clocks and timeframe changes which therefore drive urgency to make a sale and ‘trigger’ the reader to make a purchase. Given that tablet use is rising among millennials with many “second screening” (watching TV while on their phone or laptop for example), Woodall also said that emails should have “innovative functionality”. For retail businesses this could mean introducing a ‘remind me later’ functionality; a button which the email receiver can press to receive the email (say it’s an email about a sale) at a time better suited to them. In a talk on the ‘hipster dollar’, Maker Studios explained that video consumption is “through the roof among millennials” with an average of 22 hours of video consumed via YouTube per week. It said that attention spans are dropping among younger audiences so businesses “can’t afford to ignore the power of video content”. A rise in “infobesity” – the vast influx of information being shared across the web – means that the attention spans of millennials is decreasing. Hence, it’s more important than ever for businesses to ‘tell a story’ that will chime with the millennial audience. In a panel session on ‘telling stories in the 21st century’, it was noted that you need to inspire your consumers to engage with your brand and you can do this by “removing your voice and giving them the voice”. So, for instance, you create a post about your business, share it on various different mediums and then allow people to comment on that post as the news/discussion unfolds. You need to consider the platform you’re putting your content on too and how you translate that content from platform-to-platform. How do you take a 60-second video clip that you’ve posted on YouTube and translate it to 142 words on Twitter, or a single picture on Instagram? By investing in social media, you’re more likely to attract millennial customers. Discussing recent research, Movable Ink’s Clayton highlighted that 62% of millennials were more likely to become a loyal customer if a brand engaged with them on social media. Yup, I agree with everything said. Things are juts like this.